Why would TM's parents need to be in a safe place? Were their lives threatened? I think it might be time for Parks & Crump to notify their insurance carrier. Does this mean we no longer will have tweets from Nat Jackson. 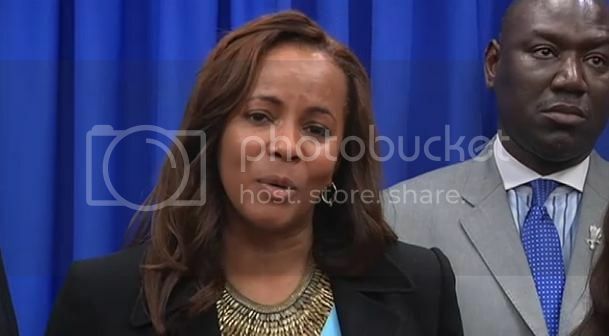 "There is a victory in that" TM family attorney about increases in riot awareness and training by local police. All I want is an Arress... actually SEVERAL ARRESS.... all of these lying schemers talking now would be a good start!!! "Trayvon Mar..in will foe eva remain in the anals....."
Did you see Diana Tennis' tweet calling for Corey to be indicted? All posts are my own opinion and do not necessarily reflect the views of Random Topics. Differences are allowed here. Someone please help me, when did Emit Till and Medgar Evers assault someone? I always love it when they leave this main part out. Mr. Martin was shot because he attacked someone. This is the most important aspect leading to the shooting. Without the attack, nothing would have happened that night. Of course they weren't. I just love how they turn this around. They create an environment where they encourage unrest and harm towards Mr. Zimmerman .... and then they try to portray themselves as victims. Trayvon Martin wasn't some sort of martyr. They're trying to make him one. I hope they do not succeed, but if they do, it won't be the first time, imo. The changes that occurred due to this case that were a improvement in the local police she mentioned. Unless there is something else that I missed that changed with the police as a department? Press no doubt wants to see them. I don't believe the jury's message was that at all. At dawn, I will win! I will win! I will win! Trayvon Martin's mother, Sybrina Fulton, shared in a post of Twitter: "Lord during my darkest hour I lean on you. You are all that I have. At the end of the day, GOD is still in control. Thank you all for your prayers and support. I will love you forever Trayvon!!! In the name of Jesus!!!" Reverend Jesse Jackson issues statement on Facebook: "We are saddened and disappointed by this decision. It is a pattern involving young black men that is too often repeating itself. In my view the American legal system has once again failed justice. The jury, no black and no men, was always suspect. The whole world observed this painful conclusion. Every avenue in the law was watching. I hope that no one will compound our pain with street justice. It will do damage to the innocent blood and legacy of Trayvon Martin. The struggle for fairness and justice is not over. Justice will come to those who continue to struggle for it. 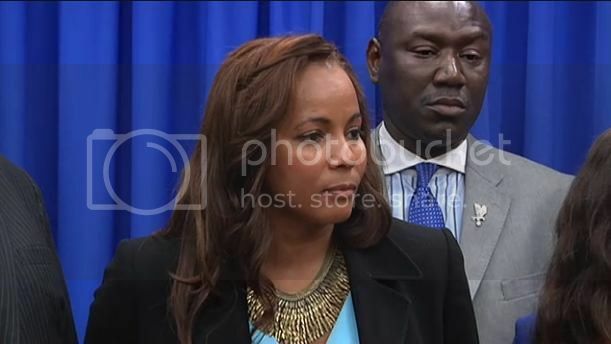 We continue to pray for the parents of Trayvon Martin and we urge them to remain prayerful and to stay strong." Saturday, July 13, 2013 (New York, NY) “The acquittal of George Zimmerman is a slap in the face to the American people but it is only the first round in the pursuit of justice. We intend to ask the Department of Justice to move forward as they did in the Rodney King case and we will closely monitor the civil case against Mr. Zimmerman. I will convene an emergency call with preachers tonight to discuss next steps and I intend to head to Florida in the next few days." "The FCRA calls for Judge Debra Nelson to withhold the names and addresses of the jurors for six months as a cooling off period"
ORLANDO, FLORIDA – The Florida Civil Rights Association release the following statement in response to the Not Guilty Verdict of George Zimmerman. The rules of discovery allow a level playing field for all sides, in this case justice prevailed for George Zimmerman and his family said, J. Willie David, III, the organization’s president. There are no clear winners in this case. David added. The lives of these two families will forever be changed, added David. The world lost a seventeen year old son who was known as “The Boy wearing a Hoodie” namely Trayvon Benjamin Martin David explained. Tonight it is a disheartening moment for Trayvon Martin’s family however; it is not a victorious day for the Zimmerman family. The FCRA ask that the public remain calm and not be a self-proclaimed vigilante. Also we ask that the privacy of the jurors be respected at this time. The jury system was created so that ordinary citizens can render a verdict of guilty or not guilty against people accused of a crime, David stated. There is something noble when the U.S. Constitution put such absolute power in the hands of normal people. Juries can reach unpopular verdicts that could shock an entire nation. This is justice in America, and the people can like it or not, David said. The United States Supreme Court and Florida Supreme Court have held that freedom of expression never includes illegal threats of violence towards a juror, prospective juror, a former juror, or any of their friends and family, David added, Moreover, anyone who demands “speak with” juror members, cannot ignore the potential violence some may commit against a group of people who, through no fault of their own, are chosen and compelled, through threat of jail, to serve on a jury. The Florida Civil Rights Association states that no one can hide behind the idea of putting jurors under “scrutiny” in an effort to make the juror known to the general public. Because no amount of public scrutiny can change a not-guilty verdict, putting jurors under public scrutiny only serves to intimidate, harass, or otherwise punish jurors for an unpopular verdict. The Florida Civil Rights Association also point out that the threat of crimes against jury members demand a priority response because of the special role juries have in the justice system. Crimes and the threat of violence against a jury and its members may effectively intimidate other prospective jurors, leaving them feeling isolated, vulnerable and unprotected. The Ultimate result of a failure to protect jurors is harm to the public and truly innocent because of heightened potential of future verdicts being based on fear rather than fact and law. The FCRA calls for Judge Debra Nelson to withhold the names of the jurors for six months as a cooling off period for media scrutiny and public opinion. Robert Zimmerman Jr., George Zimmerman's brother, tweets: "Message from Dad: 'Our whole family is relieved". Today...I'm proud to be an American. God Bless America! Thank you for your prayers!" Court PIO says jurors were given packets of letters from media for interview requests and expressed no interest at this time. Crump says the challenges with Jeantel are pretty well documented. He thanks her for coming forward, though she did not want to. He says the whole world was looking at the case for a reason. They would be dishonest if they didn't acknowledge the racial undertones, he says. Parks says the Martins weren't present for the verdict with their attorneys' advice because it would be very emotional. The family was in a safe location, Parks says. Crump asks for their privacy to be respected. "We know a 17-year-old boy was killed, Crumps says, adding that all of america should look depp in their heart and move forward from this tragedy. Natalie Jackson says she told the family about the sheriff's press conference and the changes in Sanford and there is victory in that. She says because people took to social media and signed a petition, she doesn't want them to be discouraged because they might've saved the life of another child. She says someone thinking of following someone with a gun will think twice about it. "There's grace and dignity in what these people did and the peaceful protests," Jackson says. Parks says Fulton and Martin are heartbroken. Crump says Fulton and Martin would like to thank supporters in the nation and world, from the people that attended a rally to those that signed a petition and those that put their hoodies up. He thanks the prosecuting attorneys. Crump says Trayvon is proud of the changes his parents have inspired in his name. He says Dr. Bernice King tweeted him a message that today is a defining moment for the status of her father's dream. He asks for the respect of the privacy of the Martin family. He says "For Trayvon to rest in peace, we should all be peaceful." 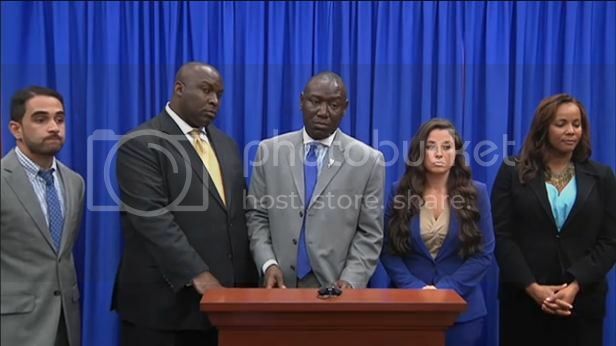 Martin family attorneys Daryl Parks and Benjamin Crump offer a statement. Court PIO says "jury has no desire to speak to media. Anonymity Order is still in effect until matter is addressed at future hearing." Twitter post from Tracy Martin at 10:29 p.m. - "Even though I am broken hearted my faith is unshattered I WILL ALWAYS LOVE MY BABY TRAY." West says the media was swept along with a narrative that wasn't true. He calls it a distraction and says a case can only be tried in the courtroom. O'Mara says the Martin family suffered a tragedy and nothing can bring Martin back. He says anytime a young person's life is lost it is always a tragedy. He says he is not going to shy away from the fact he thinks Zimmerman did nothing wrong. He says none of the evidence supports Zimmerman was the aggressor. They get my greatest sympathies for the loss of their son, but it happens much more than we are willing to acknowledge sometimes. O'Mara says the manslaughter jury instruction is very confusing. West says the tragedy is the loss of Martin's life and will impact his family and those that knew him, but the event impacts Zimmerman forever. It is somthing no one gets over, he says. "It would've been a travesty of justice had George Zimmerman been convicted," West says. O'Mara says the first opportunity he had to say something, Zimmerman said he was screaming for help to the officer. He dismisses with disgust the state said he was a cop-wannabe. O'Mara says he absolutely cried to him. He had 16 months of people attacking him, O'Mara says. He says with the media had a lot to turning Zimmerman into a monster when they took a story and ran with and ran over him. He says the prosecutors charged him with a crime they could never prove. He says the "in the heart stuff" was not what they were supposed to do. West says it was a challenge cross examining Jeantel and Dr. Bao. He says he showed through her testimony when the second phone call ended with Martin and when the next one started and when the event occurred. He says that showed there were four minutes until the confrontation with Zimmerman. He says the circumstances in which she was asked to answer questions were a challenge. West says her interview was one for TV, not law enforcement. He says Jeantel didn't want to be there, but ultimately the accomplished what they wanted. For Dr. Bao, West asks if the reporters heard Dr. DiMaio's testimony. He says it was a set-up for that. O'Mara says Judge Nelson runs her courtroom very well and had a pace they appreciated. He says they were able to accomplish what they needed. He appreciated that she reminded him about speaking objections. He says they had concerns about rulings, but respected them. O'Mara says there needs to be a conversation about young black males, but saying it is because of the Zimmerman verdict - "Shame on them," he says. He says the verdict has nothing to do with civil rights. He says he will still seek sanctions and there is a hearing to be set. He says there will also be a hearing about costs. He says on the civil aspect, they will seek and get immunity on a civil hearing. O'Mara says he doesn't know what is done after 16 month of this. He says Zimmerman would like to let them know who he really is once things settle. He says if Zimmerman was black he never would've been charged with a crime. He says the Sanford Police Department investigation was a good job, but it became a civil rights event and Zimmerman was used for the creation of it, but it wasn't born from facts. O'Mara says Zimmerman has to be cautious and protective of his safety. He says those people who have angry are going to have, but it isn't based in fact. This is about Zimmerman, not about pictures of ice cream cones, West says. He says he thought the joke was funny, but porrly delivered. He says it was indeed just an act. West says they proved Zimmerman was not guilty. O'Mara says Zimmerman is very happy and experience a release of emotion, endorphines and more. He says Zimmerman will be great, but is still worried. He hopes everyone will respect the jury's verdict. O'Mara says he needs to apologize to every public defender because he says the discovery process made him think the prosecution thought they were dealing with young public defenders. He apologizes if it seemed there was insult there. He says he's always gotten on the table, upfront the discovery. He says it was a fight for information discovery and it might've been tried 6 months ago. He says it was a little bit David and Goliath, but the won. He says they discussed beforehand he can wait untill people leave the room to express emotion. O'Mara thanks the jury for their attention and considerable time. He says he is glad the jury saw it that way and everyone that doubted Zimmerman knows everything the jury knew. O'Mara says he is very happy with the results. Don West calls the prosecution of Zimmerman disgraceful. West says the jury kept the tragedy from becoming a travesty. They take questions from the media. O'Mara says thanks Eslinger. He says Eslinger used his departments resouces for the case. O'Mara says he has a unique perspective on the county-wide impact of the case. "I'm not sure what the couple of weeks will bring," O'Mara says. He expresses gratitude for the professional way they were handled. He says he noticed the department's calm certainty in knowing what to do. He says it made his job easier in being able to focus on the case. Defense attorney Mark O'Mara shares a letter he wrote to Sheriff Eslinger. Corey says the focus needs to be on how the system worked, in response to reporter asking about firing of IT worker. She says everyone can know this jury gave it a lot of time and attention. She says the series of acts of Zimmerman was why they were able to file second-degree murder. She thanks the people of Seminole County and asks for peace and privacy. De la Rionda says they have to go back to the beginning and their theory was based on who was following who. He says it boills down to a 17-year-old minding his business and being followed by an individual who wants to be a cop. Corey says Martin was profiled to be a criminal and there is no doubt. She says she especially believes in the right to bear arms, but there must be responsible use and Zimmerman exceeded those boundaries. De la Rionda says he respects the verdict, but is disappointed. He says it is only the second murder case he has lost. He says self-defense has existed for a long time. He says they are tough cases. He says in this case it was not appropriate in regards to the right to bear arms and self-defense. Guy says he didn't mean this would be a message outside the courtroom. Corey is asked to talk about the Stand Your Ground law. She says if the defense requested a Stand Your Ground hearing they would have presented the same evidence. She says justifiable use of deadly force is one of the most difficult areas of the law. She say what was convincing to them is that the scream stopped the moment the shot was fired, so they always believed it was Trayvon Martin. Corey says they didn't also produce the picture of the physician assistant who said the cut was small. She said they believed the injuries did not rise to great bodily harm. She says she is not trying to minimalize it. She says they didn't believe Zimmerman was being straddled and able to reach his gun at the same time. Corey says eye and ear witnesses come with a realm of issues. She says in her jurisdiction she works side-by-side with police during the shooting. Corey says they charged on the facts they thought they could prove. She says a challenge was taking over a case that was already being investigated. She says they did everything they possibly could. Corey says they are used to imperfection of witnesses and evidence and can't guess how a jury will turn out. She says they promised to get the case in front of a jury. They have not had a chance yet to speak to the Martin family. Cory says schedule two lesser included charges are part of jury instructions and they ask for them if they believe it fits. She says they believed the facts fit felony third degree murder. 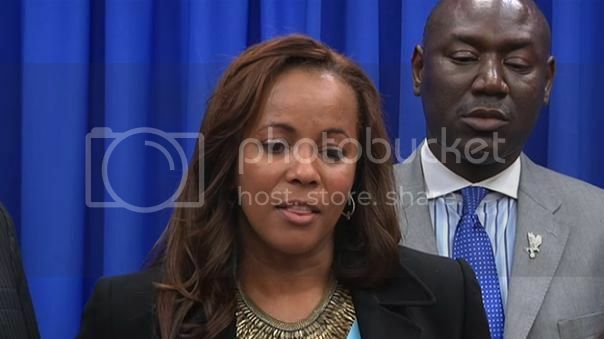 Corey says she is proud to stand with her team of her lawyers and be part of the historical aspect of the case to show the justic system should only be done in a court of law. She thanks the jury for the 16 hours of deliberations to go over the facts and circumstances. She she never understood people with law degrees that didn't read all the reports and came up with an opinion. "I think this jury worked very hard," she says. She says as long as victims know prosectutors will fight for the truth they will continue to rely on the justice system. De la Rionda says he is disappointed but accepts the verdict. Guy thanks everyone for the time and attention to the case. He says he prayed for the truth and peace to be the result. Mantei says he'd like to say to the Martin family he appreciates the way they handled the issue. He asks that they be kept in mind. Corey says she like to thank the thousands that held them in their prayers. She takes question from the media. Prosecutor Angela Corey addresses the media. She says they promised to seek the truth for Martin and due process for Zimmerman. She says they choose to do it that way because they felt everyone had a right to know everything about the case. She quotes John Guy's quote in closing yesterday - "To the living we owe respect, to the dead we owe the truth." She thanks the Seminole County Sheriff. Still standing by for a news conference with the defense team. Post-trial statements are expected. Stay tuned to see them LIVE. The jury is taken back to the jury room to be discharged. Judge Nelson tells Zimmerman his bond will be released. He has no further business with the court. The evidence will be released. The jury is polled. It is unanimous. Judge Nelson tells them instructions for following the trial. Judge Nelson reads the verdict form. The jury finds him not guilty. The jury is seated in the courtroom. Judge Nelson is in the courtroom. She asks for the jury to be brought in. Court PIO says there is a verdict. The jury has finished their meal and continues deliberating, court PIO says. Court is in recess until 8:15 p.m. The jury is still deliberating. The note is sent back to the jury. The attorneys and Judge Nelson will wait 15 minutes in case there is a response. Judge Nelson tells Zimmerman the proposed answer. It says the court can address a specific question and asks them to submit it. Judge Nelson will give it in writing to the jurors. The attorneys look back at the court record for the exact reading of the question. Mantei says he discussed an “almost” agreement with O’Mara. He asks the court to get further clarification of the jury’s inquiry. O’Mara says when there are questions of the law, the court can get clarification. Judge Nelson asks for the wording to send back to the jury and they will wait for the response. The attorneys will work on the wording and Judge Nelson is working on reading the case law. Court is in recess for 30 minutes.